If you’re traveling this holiday season, chances are your kid will have a device in his or her lap for at least part of the trip. Don’t feel bad. We get it. Traveling with kids is harder than lifting a memory foam mattress. Radiofrequency energy is a form of radiation given off by cell and portable phones, Wi-Fi routers, baby monitors and countless other devices. Scientific studies have linked electromagnetic radiation from long-term cellphone use to an increased risk of brain and heart cancer. 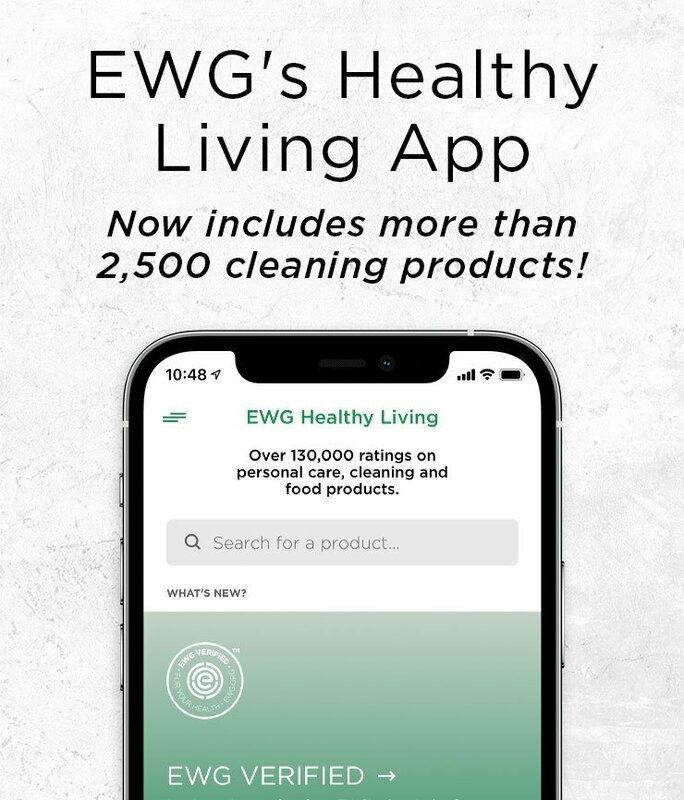 Anything using a Wi-Fi or cell signal emits some amount of radiation in the form of radiofrequency energy, including smartphones, tablets, Kindles, laptops and smartwatches. The amount of radiation depends on the device and the strength of the signal. Research from the National Toxicology Program found that lab animals exposed to radiofrequency radiation at levels similar to those emitted by cellphones had a greater likelihood of developing brain cancer and heart tumors. This study offers valuable insight into the potential risk to people, including future exposure to 5G wireless networks. Fortunately, there are a few things you can do to reduce the amount of radiation those devices give off and how much your kid is directly exposed to. Make space between the device and your kid’s body. Even a few inches make a big difference. Also, teach your kids to carry their cellphone in a backpack or purse – somewhere other than next to their body in a pocket. This is especially important when kids are on a call – phones emit higher radiation when they’re transmitting a call or data. This is especially important when the signal is weak or when you’re moving – like in a car or train. The harder a device has to work to find a tower, the more radiation it releases. So as you’re speeding along, cellphones and cell-enabled tablets are working extra hard to connect with towers along the way, and your kids are getting a bigger dose of radiation. When they’re in airplane mode, devices don’t send or search for a signal and therefore don’t emit radiation. 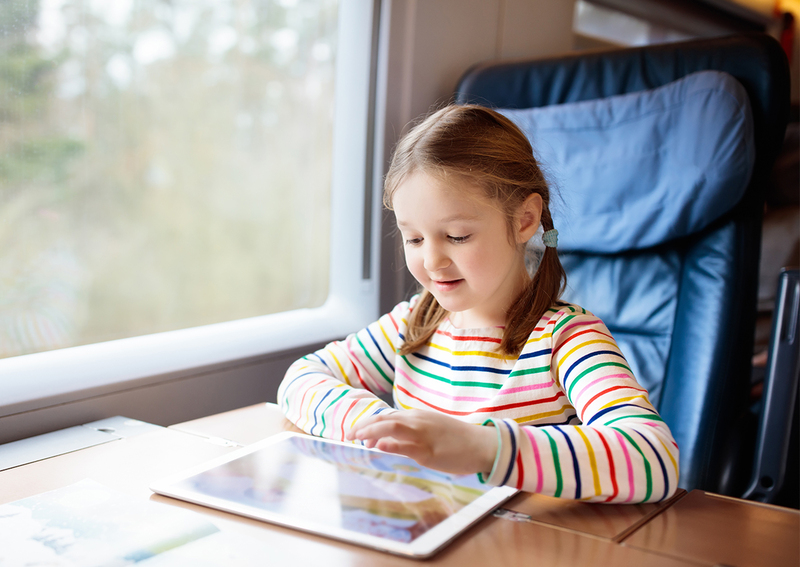 You can minimize your kids’ pushback about this by downloading apps and videos before leaving home so you don’t stream them while you travel. Many apps can be played without Wi-Fi or cell signal, and as of this writing, Netflix and Amazon’s Prime Video allow users to download TV and movies via their iPhone app. Cellphones emit their highest radiation levels during phone calls, and that level goes up even more when the signal is weak or moving. And because children’s small heads and thinner skulls can absorb more radiation, regular cellphone use puts them at increased risk of potentially harmful exposure. 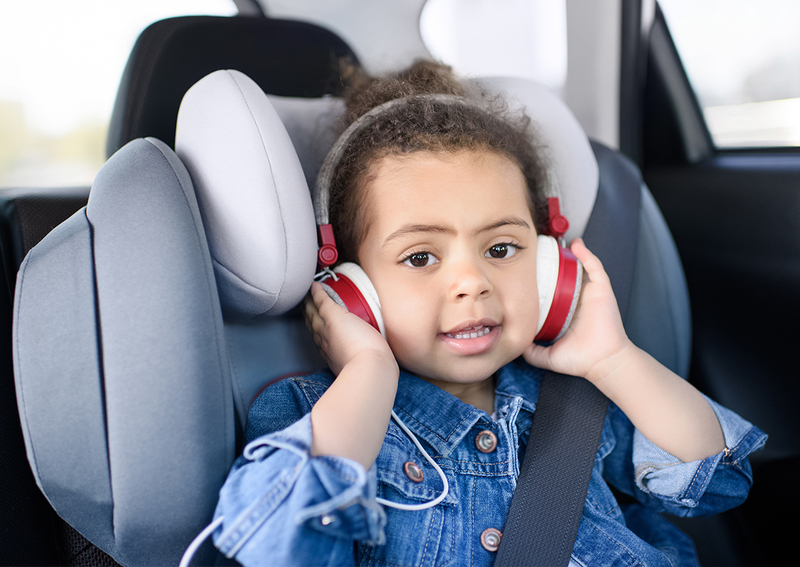 Teach kids to use headphones or speaker mode every time they make a call (and put the phone somewhere away from their bodies while they talk, like on a table or arm rest, or in a cup holder). Kids shouldn’t sleep next to their devices, and especially not with them under their pillow. According to Pew Research Center, 90 percent of young adults sleep with their phone in or right next to their bed. 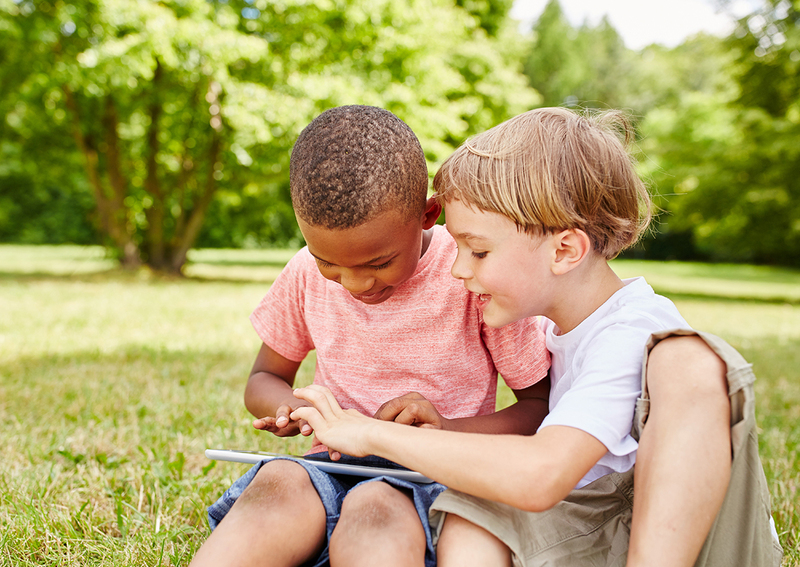 Even when they’re not being used, cellphones emit a small amount of radiation, and small amounts – of almost anything – can add up to big trouble for children. Plus, there’s a ton of research which shows that heavy device use, especially right before bed, messes with our circadian rhythms and ability to fall asleep. And as every parent knows, that’s the last thing you want to happen with your kids, especially when you’re on your way to a week at Grandma’s house. When you do finally get to Grandma’s, don’t put the kids’ air mattresses next to the router in her office. Scientists don’t know what the effects of Wi-Fi are on human health, because most studies, including the research that gave rise to cellphone radiation being classified as a possible carcinogen, have been done on conventional cellphone radiation. But the closer the source of radiation, the more kids will absorb. So some experts recommend placing the router in an area of the house where people spend fairly little time, rather than near beds. And of course, if you’re willing to go all out to help your kids avoid radiation exposure, there’s always the radical option of giving the screens a rest and breaking out the markers and drawing paper instead.